The partnership doesn’t end there, though. Honig’s, headquartered in Denver, Colo., will remain the Official Apparel Partner of the FIL for the 2019 Women’s U-19 Lacrosse World Championships, 2019 Men’s Lacrosse World Indoor Championshipsand 2020 Men’s U-19 Lacrosse World Championships as well. For this summer’s Lacrosse Championships in Israel, Honig’s will provide all FIL officials with their game day equipment including jerseys, shorts and warm up jackets. In addition, Honig’s will outfit hundreds of staffers and volunteers for the biggest international lacrosse tournament in history. Lacrosse is one of the fastest growing sports in the world, and we are proud and thrilled to partner with the Federation of International Lacrosse and its officials. Honig’s has led the way in officiating apparel for over 30 years, and our goal is simple: Ensure that officials look great on the field — and we are excited to watch the 2018 games, and watch the officials walk on the field in the best apparel in the industry. 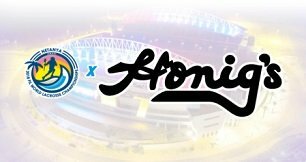 The FIL is honored to partner with a brand at the forefront of sporting apparel and excited to welcome Honig’s into the international lacrosse family. This is an historic partnership. This marks the first major apparel sponsorship for the federation with inclusion of officials and volunteers. The Honig brand is a special brand that has done great things for the past 30 years in various sports. We’re proud to welcome them on board. Honig’s partnership is helping FIL usher in a new era of corporate partnerships. Representatives from Israel Lacrosse, the host organization for the World Championships, are equally as eager to include Honig’s in the historic event. We are so excited to represent Honig’s on the field as it is important to us that the referees have the best gear and equipment. It is awesome that the event volunteers will be able to suit this high-quality apparel as well. For more information on the 2018 World Championships, go to worldlacrosse2018.com and the tournament’s social media pages on Facebook and Instagram. For more information about Honig’s and their products, visit Honigs.com or follow them on Facebook, Instagram and Twitter.